Miraculous Agitations: Fortean Times - June 2016 - John Palfrey aka "James Bathurst" - Founder of Modernism? Fortean Times - June 2016 - John Palfrey aka "James Bathurst" - Founder of Modernism? June's Fortean Times (#341) contains my feature that unmasks the self-proclaimed Founder of Modernism "James Bathurst" - now identified as John Palfrey (1846-1921) - visionary author of Atomic-Consciousness (1892) (and two smaller editions: Atomic Consciousness Reviewed  and Atomic Consciousness Abridgement  published with the help of his brother-in-law William Hurrell Popplestone). The odd title is listed in the 1926 Dictionary of Anonymous and Pseudonymous English Literature, and it's only now that the author can be positively identified (which was no mean feat - but I'll save the investigative ins-and-outs for another blogpost). John Palfrey was a working man plagued by coincidences (or synchronicity, as Jung would later term it) which he often initiated himself through contemplative thought. Atomic consciousness can be seen as analogous to Jung's collective unconscious, except that it actualises thoughts as events. Atomic-Consciousness has too many dimensions of oddness to summarise here. The details of Palfrey's life and work appear in Fortean Times #341 (out now - and jam-packed with many other interestingnesses!). This blogpost will offer another perspective. What I find striking about Atomic-Consciousness is the seething resentment of its downtrodden author, particularly in the two later editions. Under the guise of "James Bathurst", Palfrey later wrote that "gradually the theses propounded [in the 1892 book] became verified in all countries, regenerating conformably thereto, the field of science, and formulating the New Psychology. Then a host of plagiarists voraciously consumed the fruits of my wisdom and labour". 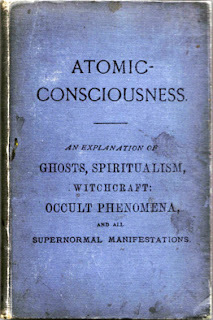 There is a grain of truth that Atomic-Consciousness was rather ahead-of-its-time in its synthesis of science and the occult, but it was an obscure self-published book, and unknown to most people. What was happening, Palfrey claimed, was that his thoughts were being intercepted: "my ideas taking flight as they come, the lesser or greater in resuscitation or origination, to sickening repetition of continuance by thrice hated parasite pests in profusion abounding". He believed that the moment he conceived any novel phrases, they would be immediately stolen, later to reappear in print. 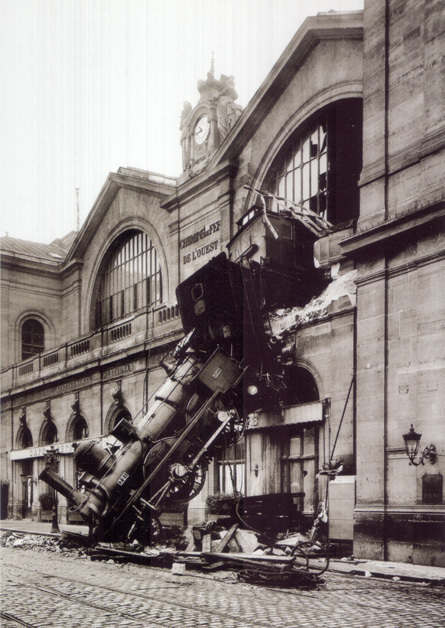 The only remedy was "deeper abstraction" (whatever that means). 'Abstract' would certainly be a suitable description for Palfrey's prose in the two abridged editions. The original 1892 Atomic-Consciousness began with a humble apology asking the reader to bear in mind that its author was an unschooled working man. By contrast, in the 1903 and 1909 abridged editions he furiously ranted in purple prose about the brilliance of his original work. He titled himself as "Founder of New Psychology, the New Age [...], the New Mysticism, and Modernism". Embittered by the lack of recognition, he blustered: "My sciento-philosophical work was the last and greatest accessible within finite apprehension; subsequent chance discoveries of manipulative wireless telegraphy, and the X rays, though of practical importance, were insignificant beside the profound problems expounded in my book". Palfrey described how the etheric agency of atomic-consciousness causes any single thought to recur - "duality" is the law. This means that coincidences occur in pairs, but Palfrey remarked that further repetitions may follow ad infinitum "if one bestows on a second or successive occurrence that thoughtful contemplation accompanying the first". To frustrate and complicate things, atoms have polar (+ / -) properties, and since everything is comprised of atoms (including the human mind) one must therefore be "positive" or "repellant" to bring about any desired occurrences (which is a self-confident state of mind devoid of any wishfulness), and not "negative" (anxious, timid or wishful) otherwise adverse influences may take effect, creating an opposite outcome. Because Palfrey was very emotional and downtrodden, he had difficulty maintaining the correct state of mind so conducive to bringing about his wants. I enjoyed the piece! The guy seemed a bit of a loon but he had some really interesting ideas. I am awestruck by this astounding post! I thought I was the only person who ever heard of "James Bathurst" or read "Atomic-Consciousness." I have actually closely studied his concepts. It's important to sift through his apparent paranoia and focus on the data. I believe that Mr. Palfry was a genius, but like many people with extremely elevated IQ's, he probably suffered from schizophrenia, similar to John Nash, about whom the movie "A Beautiful Mind" was made. I congratulate you on a spectacular piece of research. Hello Dylan! How fantastic to hear from someone who has read Atomic-Consciousness. Thanks for your kind words on the research. Yes - Palfrey's name should be up there with Jung and Swedenborg. And it's amazing how modern his writing is - reminiscent of Hakim Bey/Peter Lamborn Wilson 100 years later. 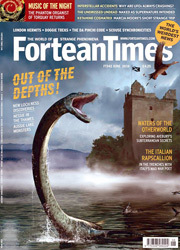 You should also check out the Fortean Times piece on Palfrey which contains a lot more information.